The 2019 season of indoor bowls is underway in the Tamahere Community Centre. 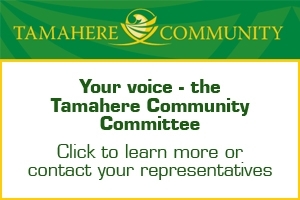 The Tamahere Indoor Bowling Club has already held its annual open tournament with 20 teams from around the Waikato participating. Funds raised at the tournament over the last three years have enabled the club to purchase new coloured bowls. Tamahere School’s ultimate family fun night – the annual Pumpkin Night – is on Saturday, April 6. The popular event, which runs from 3-8pm, features a big range of activities and entertainments and a wide selection of tasty food. Amusements include a bouncy castle, bumper balls, horizontal bungy, slides and horse rides, a Nerf fun war, dunk the teacher, and a gumboot throw. Tamahere’s long awaited Four Square store will open tomorrow (Tuesday, March 19) with a blessing around dawn. The grocery store, the first to open in Tamahere’s new and much anticipated shopping precinct, is large, bright and more supermarket than local dairy. The shop was designed to provide locals’ main grocery shopping experience in a convenient location, said operator Jassie Parmar. If peanut butter is a must this Saturday’s Tamahere Market will be the place to get a fix. 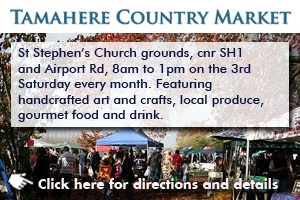 Each month the market held in St Stephen’s Tamahere church grounds has a huge range of clever craft and mouthwatering produce.